On the heels of significant growth, Udemy, an online video course startup, today rolled out an overhauled website designed to improve content discovery and student interactivity. In the past year, the San Francisco-based company said it’s seen 690 percent user growth, as instructors add 90 new courses (or 1000 hours of content) every month. “When we first started… we built a product that delivers content but we didn’t know how people would be teaching and how students would be learning,” said CEO Eren Bali. The new site, he continued, will make it easier for students to interact with each other and their instructors as well as find the courses most interesting and relevant to them. 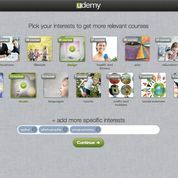 Unlike other education startups offering online courses, such as Coursera and Udacity, Udemy lets anyone create and offer a course. Instructors can offer their video courses for free or charge between $20 and $250 (for paid courses, Udemy takes a 30 percent cut). Because it’s such an open marketplace, it can grow its content much faster than other sites. But while users may be assured of university-quality courses on Coursera and Udacity, the quality on Udemy is more inconsistent. To keep the site from becoming a free-for-all YouTube for online classes, Bali said, Udemy checks the quality of the courses before publishing and won’t allow courses to go live until they reach a minimum standard. They also give instructors tips for improving the quality of their classes. Last month, they company said that some of the most successful instructors on the site have been able earn six-figures in sales from their courses. I have to add in as well, that Udemy seems to be really needing a new hosting provider, the site response if amazingly slow, so slow in fact that most of the pages time out, or give a service un-available message. If they can get the site working, and allow me to browse the courses without having to sign up, then I will take a look at them. 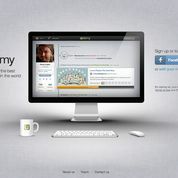 udemy is an amazing website that changed my life, so it’s your loss if you don’t sign up. I have to say, pretty crappy setup they have going on. You have to sign up to even see what they have to offer.